I get so many questions about our modern grey sofa. Where did we get it, where can you find one too? 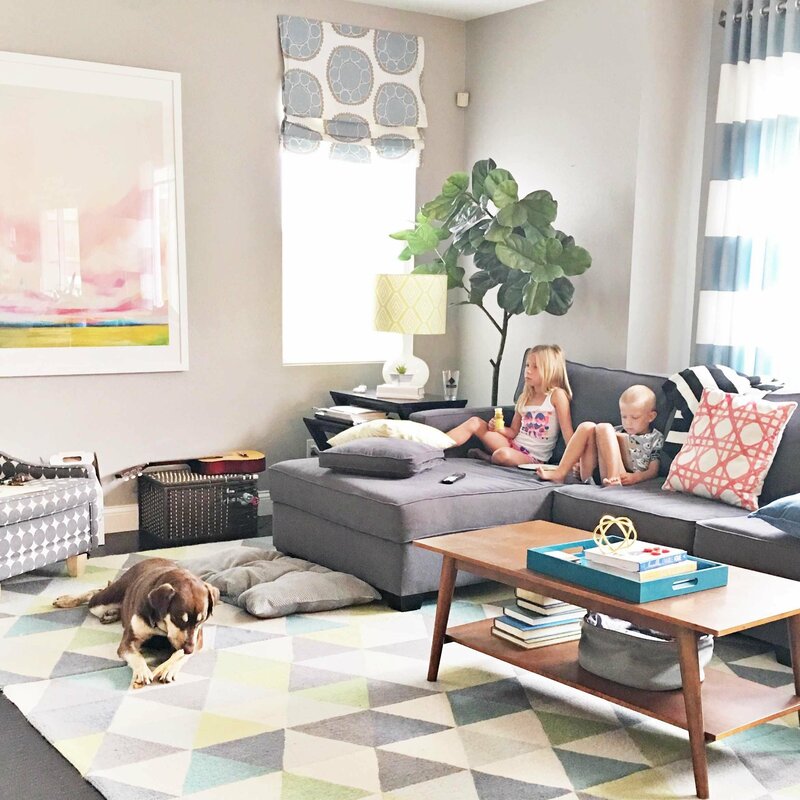 The questions really started flooding in when I revamped our family room last year and then again the other day when I posted this picture of my kiddos enjoying a lazy summer morning on my Instagram feed. I’ll admit that this sofa is our absolute favorite place to lounge and relax and that chaise is my favorite spot. It’s also my kid’s favorite spot so we usually all 3 cuddle up right there. We bought this modern grey sofa with a chaise from a local warehouse store called Roomers (in Vista, CA) which makes it really hard for most of you to get the same one, so I did some digging around the internet and found 10 similar modern grey sofas in all different price points! This should make it easy for you to create a nice place to lounge too! 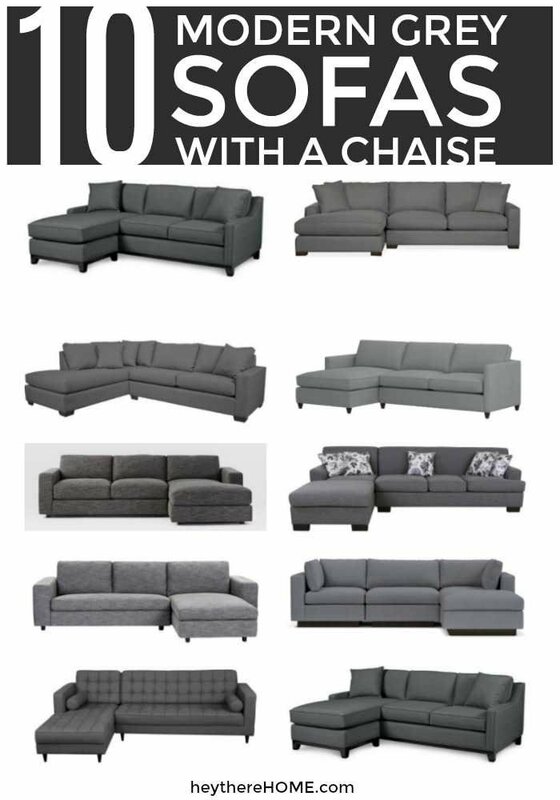 Each of these 10 grey sofas is linked below, just click on the image of each sofa to be taken to the source. I hope that if you’re in the market for a new sofa, this saves you some time scrolling the web and you can get to cozying up with popcorn and a movie faster! Crazy things are coming to your kitchen! I have considered many colors for our sofa. And grey is such a great idea. Thanks for your sharing! All the best! Thanks. Without clicking through on each one, do you know if any of these are customizable in configuration and color? I need an extra long one with 2 chaises on the end. Hey Cindi! Many of them do come in different colors and also have options for different configurations. It’s best if you do click through to each one so you can see all the options. This post made me smile when I read it today, we actually had twin Gray LazyBoy Rocker/Recliners delivered today. I never thought I would like gray furniture, but the moment we walked into the store last weekend we fell in love with the chairs. They are perfect in our brick red living room. I love the idea of gray with brick red! High five to you Diane for a great color pick!